There is no other low-cost promotional method out there that will easily give you large numbers of visitors, some of whom may come back to your website again and again. If you are selling products/services or just publishing content for ad revenue, social media marketing is a potent method that will make your site profitable over time. It’s natural. Not only do you get natural links without any discernible pattern, your website is exposed to large groups of people in a spontaneous fashion. This differs from paid advertising which has overt commercial overtones. It’s defensible. Once successfully mastered, social communities can be a great source of web traffic on top of any traffic you are already receiving from search engines. 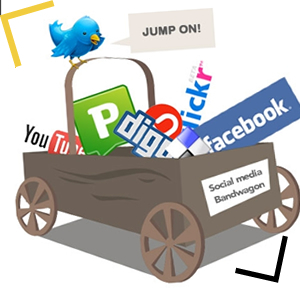 While you can’t easily increase your search engine traffic, social media traffic can be very easily controlled through strategic marketing. Its low-cost/high returns. If done by you, costs are limited to only time and perhaps the expenses involved in hiring a freelance programmer/designer. The benefits will often exceed the cost. It would take you thousands of shillings to buy many links; social media has the ability to give you that for free. It complements other efforts. Social media optimization and marketing is usually community-specific. It doesn’t interfere with any other methods of getting traffic to your website. It can and will fit perfectly with an advertising campaign targeting other websites or search engines. You get the point. Social media is great, and you need it for your business. But you're probably in one of two common situations. One, you don't have the time for social media. Or, two, you don't know how to make heads or tails of the social media scene. That's where we come into play. We have the time for social media, and we know how craft an expert strategy.